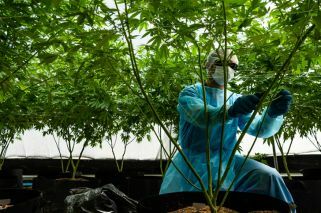 Almost six years after the country of 3.4 million people legalised cannabis, investors are betting Uruguay can become an export hub for medical marijuana as the industry expands around the world. Silverpeak Life Sciences Uruguay Inc, one of the largest companies in the country’s nascent medical marijuana industry, is in talks with investment bankers to raise US$35 million this year to quadruple production and build a larger extraction lab in 2020, according to chief executive officer and US cannabis investor Jordan Lewis. Cannabis investors have poured money into the United States and Canada, seeking to take advantage as easing marijuana regulations create a massive legal market for a drug that was demonized for decades. Meanwhile, Uruguay’s weed economy has been slow to develop, despite a significant head start. Uruguay, nestled between Brazil and Argentina, has yet to see the significant investments that have boosted the cannabis industry in the US and Canada, despite becoming the first nation to legalize weed in 2013. Ircca has approved cannabis projects worth US$57 million since 2015 and is currently reviewing other permits for 21 projects worth approximately US$40 million. It plans to increase the number of licensed producers that supply recreational pot to pharmacies from two to as many as five this year. Silverpeak’s estimated harvest of six tons this year could generate as much as US$40 million in revenue if Fotmer obtains permits to ship cannabis flowers and small quantities of CBD and THC extracts to Australia, Canada, the United Kingdom and Germany, Lewis said.